Innovate and create new products or new versions of existing products, in response to market trends and demands. Improve existing processes to achieve optimum cost-effectiveness for internal and external customers. Over the years, ADPL has built a team of highly qualified professionals with vast experience in the science and technology of Dyes Synthesis, and driven by an objective of continuous technological improvement. 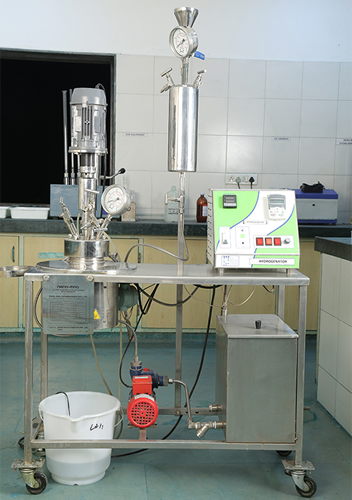 The R&D laboratory features equipment such as Mini Reactors with Stirrers, Pilot Reverse Osmosis System and Drying Units, to replicate mass production processes accurately. In response to customer requirements, ADPL R&D team is now making a foray into the manufacture of low salt and echo-friendly dyes. Environment-friendly technologies and processes are being adopted by the company, with this specific objective. 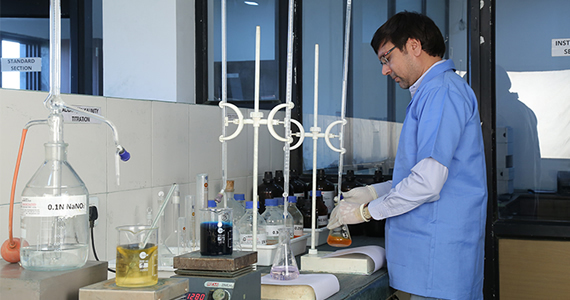 The R & D division is connected to a well-equipped Pilot Plant which enables the R & D technicians to conduct Plant-like production of their R & D experiments. The Pilot plant replicates actual plant-like reaction environment. Hence, it ensures a smooth transition of any new product from the R & D Lab scale to the plant scale for commercial production. 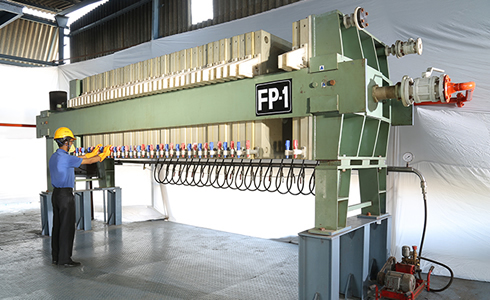 The Pilot plant was designed with a view to develop new products as per customer's requirements as well as for custom manufacturing of specialized products, which requires exhaustive sampling before starting commercial production in the plant. ADPL assimilated production technologies from the most reputed sources around the world. The company has renovated its plants as per a new generation lay-out, to optimize production output. It has streamlined its functions, to expedite processes. The ADPL plant is equipped with high-capacity reactors and closed reactors capable of high pressure & temperature reactions. It features Spray Dryer units with very capacities, and Reverse Osmosis System producing Salt-Free Dyes. Highly skilled technology experts and experienced technicians complement ADPL quality chain. Standard packaging and on-time delivery are integral parts of the quality drive at ADPL. In fact, the company channelizes a good part of its industrial energy into post-production phases. For smooth functioning the Packaging & Despatch Departments have been constructed in a separate area, with large storage capacities for crude materials inventory and packed materials. Blenders with high capacities enable faster standardization as per customer requirements, executed directly under the Quality Control Manager. ADPL products feature a range of packing methods to suit divergent client requirements and usage patterns. Most of these products are available off-the-shelf, or are accessible through an efficient dealer network. Before a product bearing the ADPL brand enters the market, it undergoes extensive quality control tests. All these quality checks are integrated into the production process itself. The company maintains a modern, well-equipped Quality Control Laboratory, headed by competent professionals experienced in Dyestuffs and Dyes Application. The equipment range includes Macbeth Spectrophotometer, Glycerin Bath High Temperature Beaker Dying Machine with Micro-Controller (MC-4), Automatic Hank Dyeing machine , Rota Dyer Washing Fastness Tester, Light Fastness Tester, Padding Mangle, Ronald Leather Dyeing Machine, etc. ADPL has recently set up a new Application Laboratory to check and test the application of the finished product on the respective substrate. The total simulation in real life conditions ensures that the customer gets precisely what he wants. ADPL quality maintenance efforts also ensure uninterrupted production and continuous supply, turning the company into a reliable, anytime resource base for its clients.